During the summer of 2013 White Horses Whitstable commissioned artwork that was printed onto sails and displayed at sea in a series of floating exhibitions and public engagement events to explore the relationship between art and the sea. 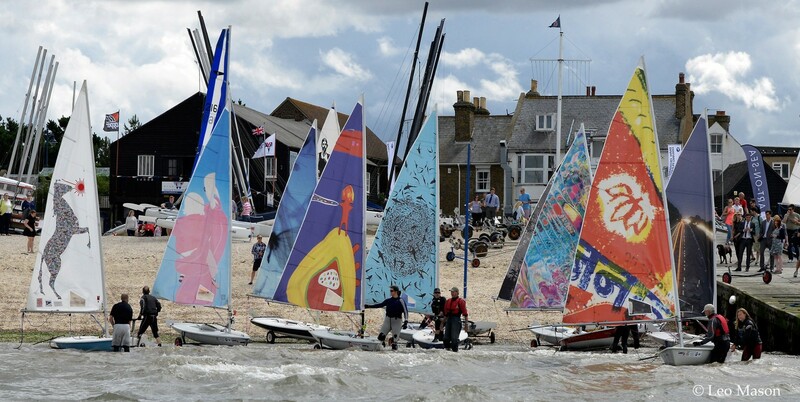 The sails may make appearances in Whitstable from time to time and also at other locations around the Kent coast. They have also been used as a backdrop for photo shoots and a TV programme. Please contact us if you would like to know more. Prosper aims to help the Canterbury Festival to engage more fully with the wider cultural community across the East Kent region, and to investigate how partnership and collaboration can create new possibilities and opportunities for artists and audiences. Prosper is designed and produced by The Map Consortium and Workers of Art. Each of the artists who created a sail has a page on this site. Please click on the artists names for details of the artwork and artists selected for Art-on-Sea; a floating art gallery.